Courtesy of San Antonio Portfolio KW RE, Luz Ortiz-Beyer. Heart of Medical Center Condo. 2 bdr./1 bath. Open Living and Dining area with High Ceilings. Nice Size Kitchen. Master Bedroom with Large Walk-in Closet. Nice Deck and Storage Room. 1 Covered Garage Space. Recent Paint, New Laminate Floor in Master Bedroom. Rest of Flooring is Tile. Ready to move-in. On-stie Security. Easy acces to IH-10, USSA and UTSA Health Center. Property has nice Mature Trees, Pool and Party Room. Please, send me more information on this property: MLS# 1363632 – $86,000 – 8611 Datapoint Dr Unit 34, San Antonio, TX 78229. 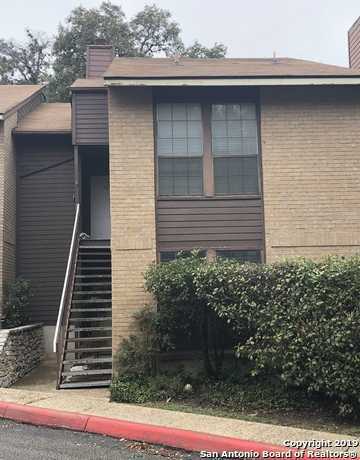 I would like to schedule a private showing for this property: MLS# 1363632 – $86,000 – 8611 Datapoint Dr Unit 34, San Antonio, TX 78229.